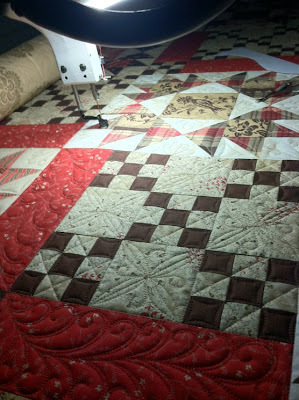 I was just want to thank everyone for all the generous compliments I received regarding the quilting on Baby Swoon and Mocha Trail. Thank you. 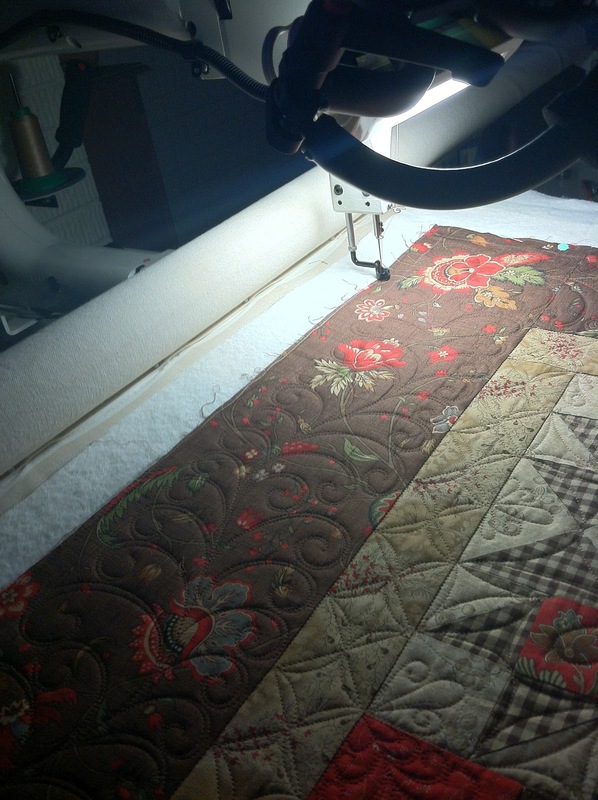 I received some emails asking questions about how I quilt, what I do, what tools do I use or suggest and how I decide what design to quilt. I love to answer questions like these, although they always make me chuckle a bit because I'm still learning the answers to all those questions myself. Truthfully, every time I load a quilt on my machine, I feel like it's my first day at a new job. Do you know that feeling? So I thought I would share some of my "process" on Mocha Trail. First of all, I take a lot of photos. Beginning to end. By the time I get to the bottom border, I guarantee I forgot how I quilted the top border. You would be amazed at how quickly you forget. I always take photos of the corners. 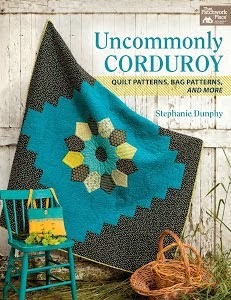 I want to quilt each corner as similarly as possible. 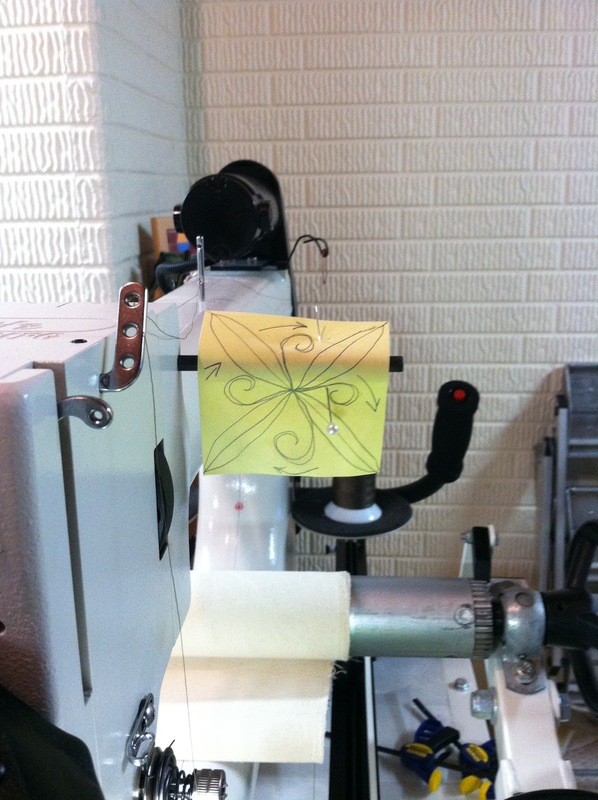 What my feathers look like, how I enter the corner and how many feathers I quilt in the curve. Stuff like that. Oh, this is important... taking a photo of the spine of feathers. I always count how many dips and hills I have and where they fall in relation to the quilt. Most of the time it's not an exact science, but close. I used school chalk to mark, but I chose to make these feathers spineless. I did not quilt a spine over the chalk line. Some feathers don't necessarily need the spine. For the feathers in the red rectangles, I made a little cardboard template. Then I just flipped the the template over to the next red rectangle. 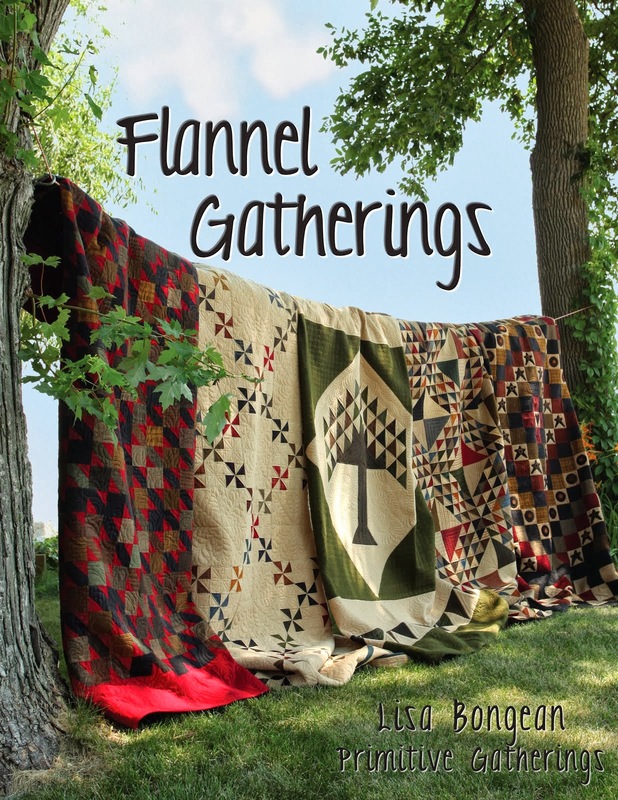 This made the spine/feathers continuously flow across the quilt. I used my purple air erasable marker to mark the spine. When working on the 9-patch block area, I had to make myself a little reminder Post-it Note of what direction the little swirls were supposed to go. See my sweet drawing with the arrows?? LOL!! I would quilt three going in one direction and then one of the swirls facing the other way!! That's what happens when I start quilting past my bedtime!! 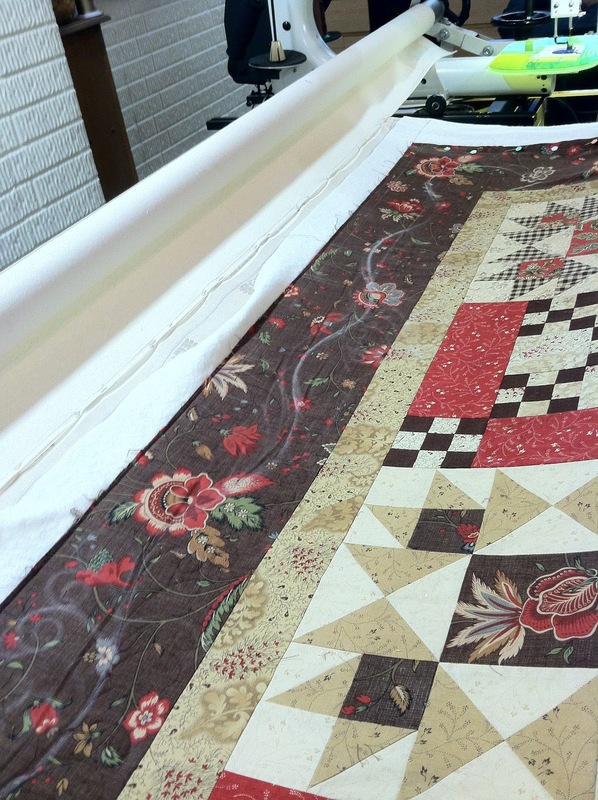 Whatever works is the right way, Linda, obviously what you do works because your quilting is stunning! What a great post! Love the picture of the spine, and the corners. I am definitely going to start doing that. Your quilting is so beautiful. You have really brought Thelma's wonderful quilts to life- a superb piecer and a superb quilter. 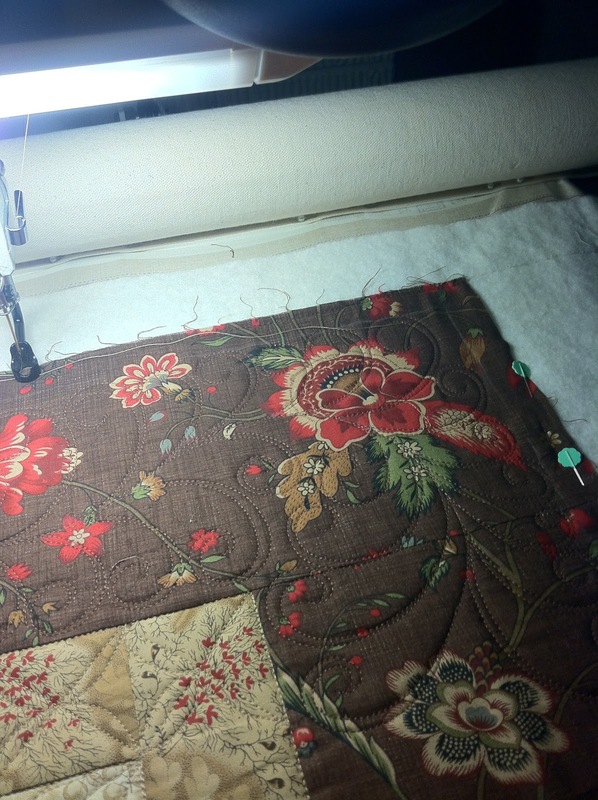 Love all the pictures you take so we can see all your beautiful quilting. All excellent ideas! I've learned so much from you Linda! Please, continue to post how you do things. This is so helpful for me! Thanks so much for this helpful information. I don't have a long arm, so I'm limited on space, but these hints will work in some areas. I especially like taking all those pictures. You are so right about forgetting what you did at the top when you finally reach the bottom. Thanks so much for your help. thanks for sharing! it's nice to see how others do things and learn something from that! keep up the beautiful work! this post was so interesting! It is a lot of work to make sure it all lines up perfectly,etc. Obviously (from my point of view, naturally) it is working well, so don't change how you plan and execute the quilting. Your work is wonderful. I love reading your 'behind the scenes' posts - they're fascinating! wow! there really is a lot involved!